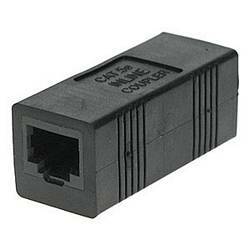 Use this high-quality coupler to connect 2 CAT5 or CAT5e Ethernet cables together. Capable of handling LAN speeds of up to 100Mbps. Meets TIA/EIA 568A and ISO/IEC DIS 11801 CAT5e specifications. Not shielded.